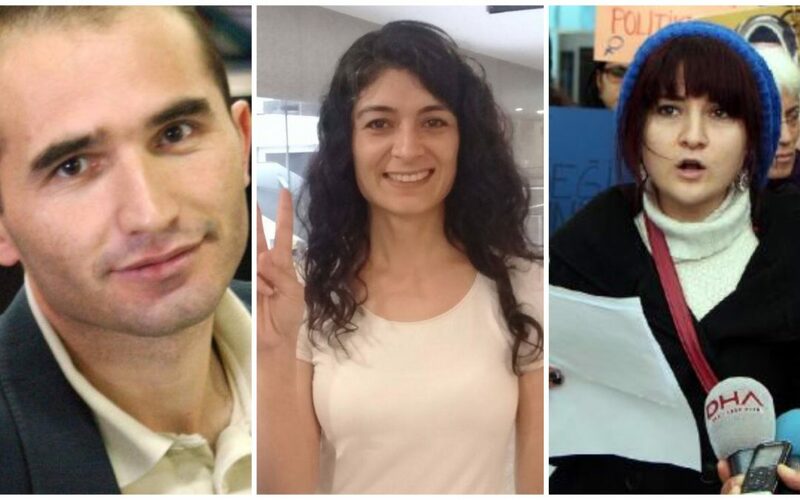 Three more journalists were put in pretrial detention over the past week, rising the total number of journalists jailed since the July 15, 2016 failed coup to 305. İsminaz Temel an editor for the pro-Kurdish ETHA news agency and Havva Cuştan, a reporter for the same media outlet were arrested a week after police detained them along with 10 socialist party supporters on Oct 19. The suspects are accused of membership to a terrorist organization and making propaganda on behalf of it. Meanwhile, Abdullah Dirican, a domestic news editor for the now-defunct Zaman newspaper was also remanded in pretrial detention, Kronos online news outlet said on Oct 24. Zaman was earlier confiscated and shut down over its links to the Gulen movement, which the government blames for the last year’s failed putsch. At least 305 journalists have been detained and put in pretrial detention since July 15, 2016. Even though some were later released pending trial, nearly 180 are still held behind bars.